More than any other herb, cilantro is polarizing. In a moving coming-of-age-essay on Gilt Taste, food writer Mei Chin chronicles her relationship with the love-it-or-hate-it-herb, beginning with childhood loathing and concluding with a ravenous obsession with its pungent leaves. “Suddenly, one morning, I awoke longing to cram fistfuls of the stuff, fresh, into my mouth,” Chin writes. 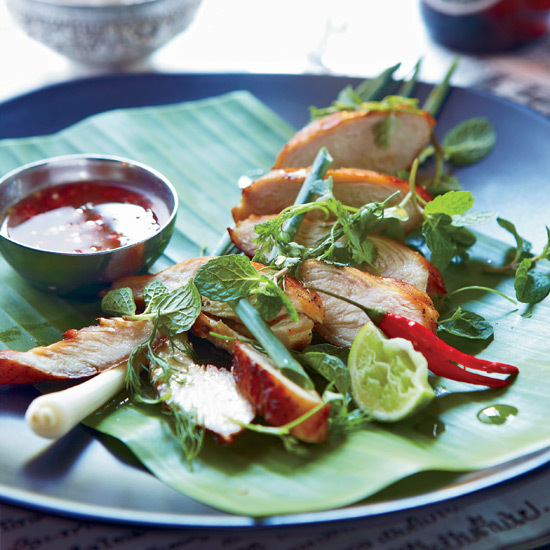 For those who wish to experiment in smaller doses, this Lemongrass-Cilantro Chicken with Honey Dipping Sauce incorporates cilantro in an overnight marinade that is equally fantastic on fish or pork.